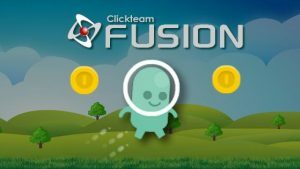 Clickteam Fusion 3 is the long-awaited next-generation game and app development tool by Clickteam. Clickteam Fusion 3 has a specified release date of fourth quarter 2017. So what does this mean? Fusion3 will be a, once-again, pioneering software for Clickteam. It will take the company and the users into the next decade with a solid, robust, flexible and RAD game design and app development tool. Many features have already been announced and showcased and there will be lots more still to come but with regards to the official release date, there isn’t an actual date as of yet but we are expected to see the official announcement in the fourth quarter. If you were planning on using Fusion3 for your next project, you can to some extent, start prototyping it now in Fusion 2.5. Fusion3 is having extended importing capabilities from Fusion 2.5. Initially this wasn’t a priority of Clickteam’s and in a way, it still isn’t, but after the initial development of the partial importer, it was decided to extend how much we actually can import from existing Fusion 2.5 applications. The release date will be 2017. As to the exact date, nobody knows. There’s very good reason for this. If you have ever worked on developing a large game project or application, you will know that it’s always good to set yourself a good window either side for give and take. Clickteam have done this also as you never know what could crop up. Either way, once Fusion3 is released we’ll be ready for it. Update: Clickteam Fusion 3 is still in development. Granted, there has been a lot of speculation surrounding the release date, there has also been some “official” (and optimistic) dates set. However, Clickteam are 100% dedicated to ensuring publish and release of a solid, robust Clickteam Fusion 3 and not a rushed one. We have seen one of the biggest ever Clickteam threads on the forum. Now spanning some 2,257 comments (at the time of writing) it is only ever increasing. It seems whether you love or hate the idea of Fusion3 landing in the not-so-near time, the passion is there. The people who know Clickteam will know that they were the first ever company to write a game design software in this form (Klik n Play) and followed up with Click n Create, The Games Factory and Multimedia Fusion 2. 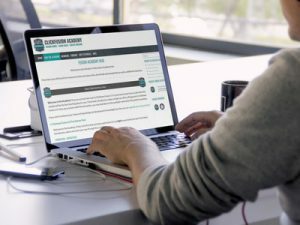 Right now Clickteam Fusion 2.5 is still the flagship product and will continue to dominate the market for being number one at allowing users to design and develop games for all platforms in record time.